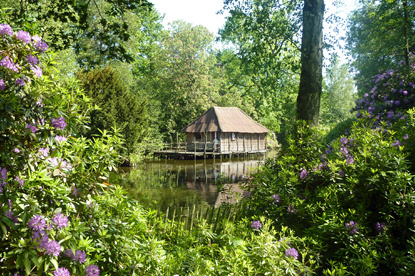 Hydrangea and pond at the Planckendael Animal Park. Planckendael is a branch of the Antwerp Zoo, the 3rd largest zoo in Europe in terms of number of species. Established in 1956 as a refuge for sick and injured animals from Antwerp Zoo, Planckendael later developed as an animal park of its own right, almost as good as the Antwerp Zoo. 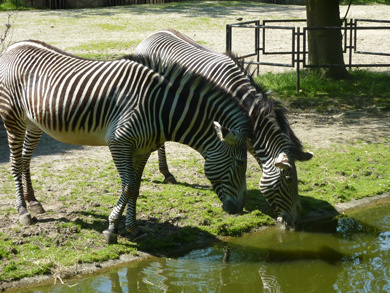 Planckendael now has hundreds of animal species from all five continents, including Asian and African lions, snow leopards, cheetahs, Indian rhinoceros, giraffes, zebras, Bonobo apes, kangaroos, koalas and red pandas. The park extends on 42 hectares (104 acres). The zoo is open all year round from 10:00 am to 4:45 pm (November to February), 5:30 pm (March, April, October), 6:00 pm (May, June, September) or 7:00 pm (July, August, as well as all Sundays and national holidays from Easter to the end of September). Admission costs 22 € for adults, 17 € children and young people from 3 to 25 years old and seniors (over 60), and is free under 3 years old. Parking costs 7 € per vehicle. 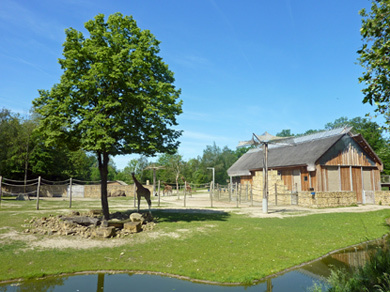 The animal park is located 4 km southeast of Mechelen, along the N26 (Leuvense Steenweg) towards Leuven. It is only 20-25 minutes from Brussels by car (take the E19 towards Antwerp, then exit 11 for Zemst and turn left once your reach Leuvense Steenweg).